Our consultants provide Landscape Architecture and Sustainable Land-use Design and Implementation. Our company is a keen exponent of landscaping with New Zealand’s native flora. In particular we are experts on the cultivation of Leptospermum scoparium (manuka) both for honey production and as a pioneer for revegetation work. 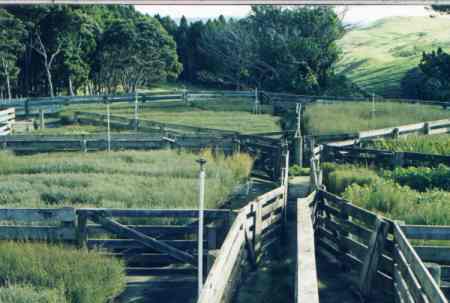 We advise on revegetation methods and do quantity surveying of planting jobs. We also have many years of experience planting forestry crops and fruit orchards. We do grow some exotic species but we wont grow them unless they have many useful purposes and don't look like they are going to be a potential weed. Our company is a proponent of seeking the most environmental solution. We provide Environmental Consultancy for nurseries, farmers and foresters. Every year we help many organisations to set up state of the art nurseries. We provide planting plans for farmers to mitigate the effects of nutrient run-off and to integrate trees into livestock farms. We implement our solutions, carrying out extensive tree planting and landscape construction work every year. Paramount to the landscaping service is the plant health advisory service. We are advocates of a type of integrated pest management (IPM) that goes beyond the pests themselves and considers carefully which crop or garden plant suits a particular site well. Our commercial nurseries have grown millions of plants nearly totally without sprays. Our consultants are skilled in the identification and understanding of plant diseases and pests, and prefer to use preventative measures rather than restorative or curative solutions. For example, we choose to grow native plants, precisely because they actually grow better in our location than most introduced plants. As another example we have different nursery sites which we compare in order to consider their particular individual advantages very carefully, to site plants according to where they will be most healthy, rather than spraying out pests. We are leaders in the field of ecological restoration. We work with alternative forestry methods that are very light on the ground. For large scale jobs we prefer to set up an on-site nursery.